Consumer behavior analysis represents one development within the behavior-analytic tradition of interpreting complex behavior, in which a specific conceptual framework has been proposed (i.e., the Behavioral Perspective Model). According to this model, consumer behavior occurs at the intersection of a consumer-behavior setting and an individual’s learning history of consumption and is a function of utilitarian (mediated by the product) and informational (mediated by other persons) consequences. The model has been useful in analyses of consumers’ brand choice and reactions to different settings. In the present paper, the model was applied to the interpretation of environmental deleterious behaviors (use of private transportation, consumption of domestic energy, waste disposal, and domestic consumption of water). This application pointed to specific marketing strategies that should be adopted to modify each of these operant classes. Jorge M. Oliveira-Castro thanks the Brazilian institutions, CAPES (Ministry of Education), CNPq (Ministry of Science and Technology), and FINATEC (Fundação de Empreendimentos Científicos e Tecnológicos Brasília, DF) for financial support. Gordon R. Foxall thanks The Nuffield Foundation, London, for financial support (SGS/LB/0431/A and SGS/00493/G/S1). 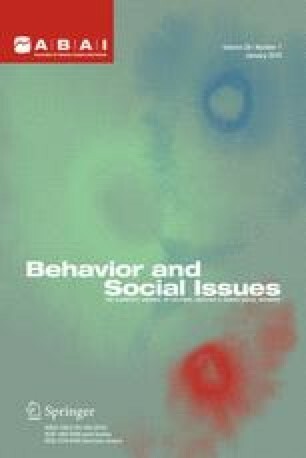 Some parts of the ideas presented here concerning the application of applied behavior analysis to environmental behavior have appeared in Foxall, G.R. (2002), Social Marketing for Environmental Conservation, In G. R. Foxall (Ed. ), Consumer Behaviour Analysis: Critical perspectives on business and management: Vol 3. Marketing: a behavioural perspective (pp. 460 – 486), London and New York: Routledge.